Julien Bourgeois is a professor of computer science at the University of Bourgogne Franche-Comté (UBFC) in France. He is leading the computer science department (55 permanents) at the FEMTO-ST institute (UMR CNRS 6174). His research interests include distributed intelligent MEMS (DiMEMS), Programmable Matter, P2P networks and security management for complex networks. He has worked for more than 20 years on these topics and has co-authored more than 150 international publications. He was an invited professor at Carnegie Mellon University (US) from September 2012 to August 2013, at Emory University (US) in 2011 and at Hong Kong Polytechnic University in 2010, 2011 and 2014. He led different funded research projects (Smart Surface, Smart Blocks, Computation and coordination for DiMEMS). He is currently leading the ANR funded project Programmable Matter and the ISITE-BFC funded project Building the Basic Blocks of Programmable Matter (B3PM). 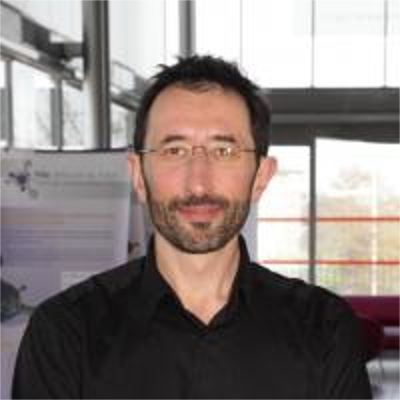 Benoît Piranda is associate professor of computer science at the University of Bourgogne Franche-Comté (UBFC) in France. 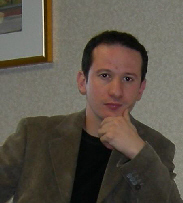 His main domains of research are distributed programming, physical and visual simulations and computer graphics. He proposes many distributed algorithms used in programmable matter and self-reconfiguration algorithms for sliding robots. His recent works around the definition of a new geometry of modular robot for the programmable matter are in the heart of this project. He is leading the development of the VisibleSim software which is a behavioral simulator of modular robots. This very powerful tool has been used to validate research results in 17 publications over the last 6 years. He is leading the project of refactoring of new blinky blocks, and the production of a huge modular robot made of more than 2000 connected blinky blocks. 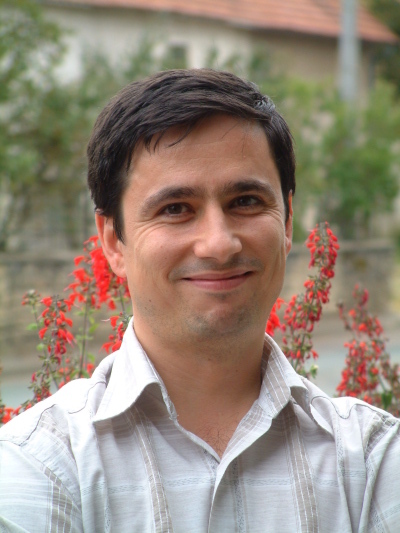 Eugen Dedu is assistant professor in computer science at the FEMTO-ST Institute, Univ. Bourgogne Franche-Comté, CNRS in France. He obtained his habilitation in 2014, and his Ph.D. in 2002. He is leader of OMNI research team (optimisation, mobility, networking) composed of 17 full and assistant professors, and 40 Ph.D. students. He has co-authored more than 40 articles in international journals and conferences. His current main research interests are in electromagnetic communication in nanonetworks, transport protocols in computer networks, in particular for adaptive video streaming, and distributed intelligent MEMS. He thinks that nanonetworks is an emergent field of research, driven by continual object miniaturization (e.g. computer components, programmable matter), potential use in human body (advanced health monitoring), and big network bandwidths (Tb/s). In this recent field he has published so far 2 articles in international journals and 6 articles in international conferences, some of them through international collaborations. He was also involved in free software development, as a Debian maintainer and an Ekiga videoconferencing software developer. 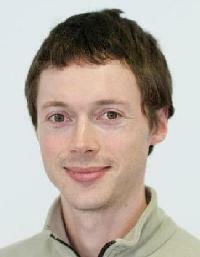 Frédéric Lassabe is assistant professor of computer science at the University of Bourgogne Franche-Comté (UBFC) in France. He is head of the computer science teaching department (32 staff and 450 students) at the Belfort-Montbéliard University of Technology (UTBM), and member of the the computer science department at the FEMTO-ST institute (UMR CNRS 6174). His research interests are Programmable Matter, Network resources allocation optimization, and mobility analysis. He has worked for 15 years on these topics. He led funded and contract research projects (geographical analysis platform, indoor positioning systems) with european union as well as French and U.S. companies. 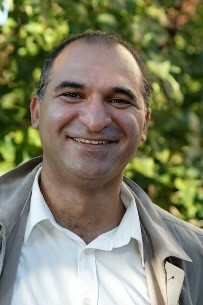 Jaafar Gaber received his Ph.D. degree in 1998 from University of Lille I, France in Computer Science and engineering. He is currently researcher at the FEMTO-ST institute (UMR CNRS 6174) and associate Professor HDR of computer science and computer engineering at Universite de Technologie de Belfort-Montbeliard, France (UTBM). Prior to joining UTBM, he was a research scientist at CSI Institute in George Mason University in Fairfax (Virginia, USA). His research interests include modern distributed systems, including IoT, ubiquitous and pervasive computing, high-performance computing, reconfigurable, embedded computing and distributed/parallel algorithms. He has served as external expert for research and technology evaluation outside EU or as expert for EU Cost action proposals evaluation. His research has been frequently supported by European grants within EU FP6 and EU FP7 and industry. He is also involved in European EACEA agency projects. He is a member of the IEEE and ACM. the M.S. degree from the University of Algiers, Algeria in 2000. His research interests are in distributed intelligent MEMS, mobile radio networks, optimization, self-reconfiguration, and mobility. He led and participated to many industrial projects such as SOES with DGA/SPOTI, AlgoPDF with DGA/CELAR and WiOPT with Orange Lab. 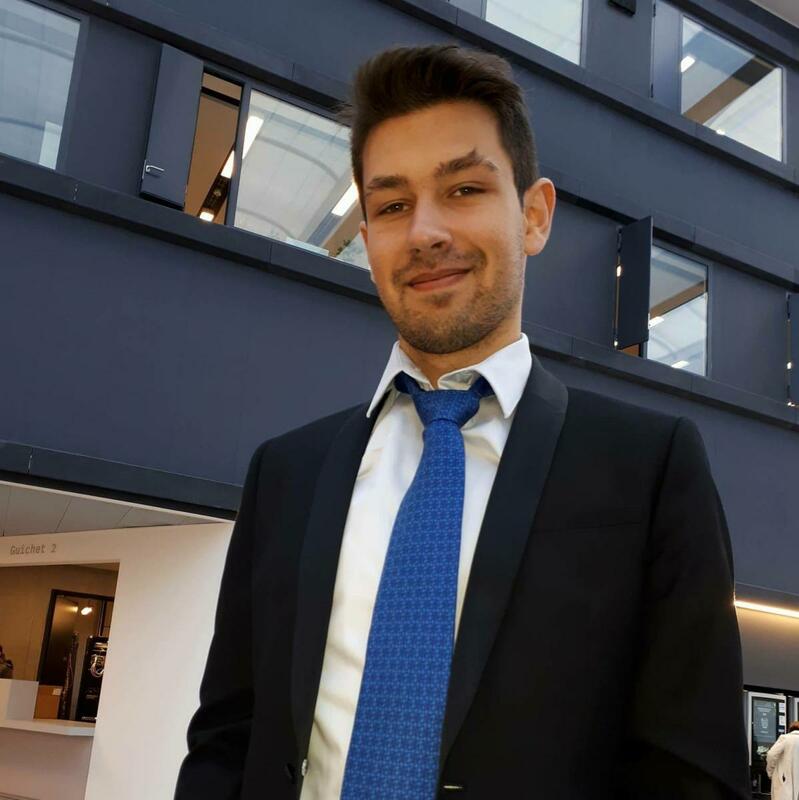 After two years of Preparatory Classes at the Grandes Ecoles (CPGE), Florian Pescher joined Centrale Supélec School where he obtained his engineering degree with a specialization in Interactive Systems and Robotics (SIR). He then completed a 5-month rotational robotics internship at the University of Colorado at Boulder under the direction of Nikolaus Correll and is now a PhD student in the Optimization, Mobility, NetworkIng (OMNI) team of the Department of Computing. Complex Systems (DISC) of the Femto-ST Institute in Montbéliard under the supervision of Julien Bourgeois and Benoît Piranda. The latter deals with the problem of reconfiguring autonomous micro robots. Pierre Thalamy received his M.Sc. degree in Computer Science with high honors from Grenoble Institute of Technology - Ensimag, France in 2017. He is currently Ph.D. student in Computer Science at the University of Bourgogne Franche-Comté, in the Computer Science in the Optimization, Mobility, NetworkIng (OMNI) team at the Department of Computer Science for Complex Systems (DISC) of Institut FEMTO-ST, France. 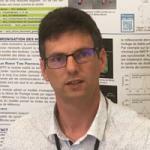 He works under the supervision of Prof. Julien Bourgeois, and Assoc. Prof. Benoît Piranda. His thesis is about the design of efficient 3-dimensional self-reconfiguration methods for building programmable matter using modular robotic systems. He is involved in the Programmable Matter, VisibleSim, CO2Dim, and Claytronics projects. His current research interests include self-reconfiguration and locomotion using modular robotics systems. 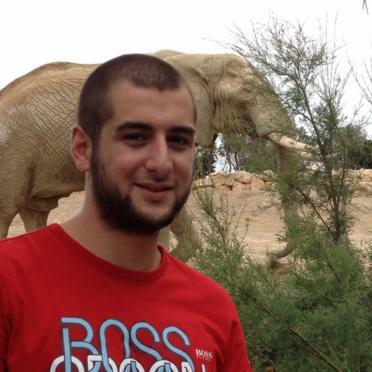 Within the context of the Programmable Matter project, he aims to improve upon existing methods of 3D modular robot self-reconfiguration, aiming to make interactive Computer-Aided Design (CAD) using this technology a reality. 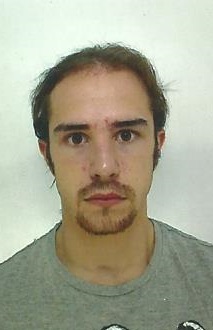 Thierry Arrabal is a PhD Student in computer science at the University of Bourgogne Franche-Comté (UBFC) in France since october 2016. He validated his master degree at university Claude Bernard Lyon 1 in France. He has worked on wifi networks optimisations and behiaviours during several internships in Ecole Normal Supérieure Lyon (ENS Lyon). Thierry now studies nanonetworks from the communication point of view. The goal of his thesis is to conceive a transport layer for nanonetworks along with others protocols that suit nanonetworks constraints. André Naz received his M.Sc degree in Computer Science with highest honors from the Grenoble Institute of Technology - Ensimag (France), in 2014, and his PhD in Computer Science from the University of Bourgogne Franche-Comté (France), in the FEMTO-ST Institute, in 2017. His thesis work was about coordination in modular robotic systems and, more precisely, on centrality-based leader election, time synchronization and self-reconfiguration. This work included algorithm design and extensive experimental study, using both simulations and hardware prototypes. He co-authored 7 peer-reviewed international publications on these topics and is the co-recipient of the best paper award at IEEE AINA 2016. He is involved in the Programmable Matter, CO2Dim, VisibleSim and Claytronics projects. Beyond his thesis contributions, his software engineering work on the VisibleSim simulator and on the Blinky Blocks firmware reinforces the foundations of the Programmable Matter project. Thadeu Knychala Tucci is currently PhD Student in Computer Science in the Optimization, Mobility, NetworkIng (OMNI) team at the Department of Computer Science for Complex Systems (DISC) of Femto-ST. He works under the supervision of Julien Bourgeois (FEMTO-ST), Benoît Piranda (FEMTO-ST). He is involved in Coordination and Computation in Distributed Intelligent MEMS (CO2Dim), VisibleSim and Claytronics projects. His thesis is about representation maps for modular robots. More precisely, he works on data representation and data dissemination in modular robot systems. The aim is to combine these mechanisms to design efficient self-reconfiguration algorithms.